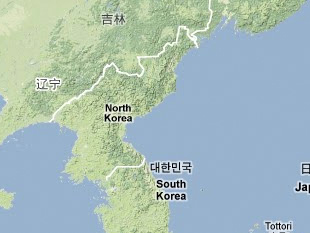 Kanggye is one of two major sites for chemical weapon production in North Korea, the other being Sakchu. Analysts have reported that CW munitions are filled here and transported to responsible units in the Korean People's Army. Most of these reports are based solely upon defector accounts, which make it difficult to assess the types or amounts of chemical munitions that are produced and/or filled at this facility. Reconnaissance personnel from Unit 32 of the Korean Peoples Army's Nuclear and Chemical Defense Bureau are also based at the Kanggye Chemical Factory. Osamu Eya, Kimu Jon Iru Daizukan (Tokyo: Shogakkan, 2000), pp. 65, 148. "Puk Haekhwahakpangwiguk: Haeksaenghwahangmugi Ch'ongjihwi," Segye Ilbo, 21 May 1997, p. 17, in KINDS, www.kinds.com. Joseph S. Bermudez, Jr., The Armed Forces of North Korea (New York: I. B. Tauris Publishers, 2001) p. 225. Naewoe Tongshin, 23 March 1995, pp. E1-E3, in "Characteristics of DPRK Chemical Weapons Noted," FBIS Document ID: FTS19970508001832.